There were five games of NBA action on Sunday, highlighted by a battle between two teams that made a lot of noise at the trade deadline: one for what they did, and one for what they didn’t do, as the new-look 76ers hosted LeBron James and the Los Angeles Lakers in a Sunday matinee. 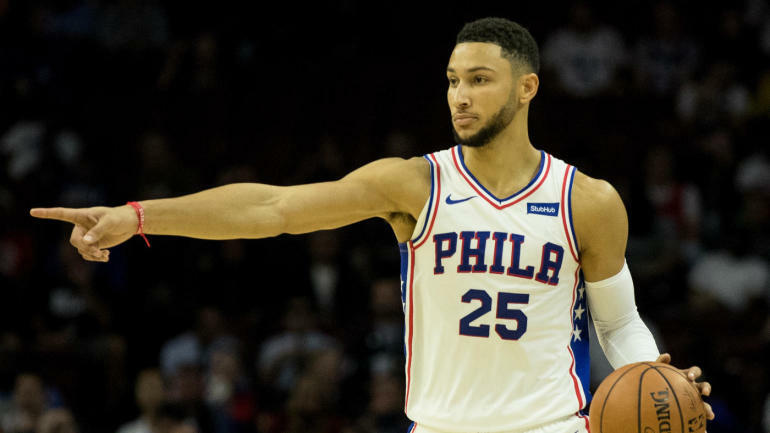 The game between the two teams was the second of the season, with the Sixers pulling out a win over the Lakers in Los Angeles less than two weeks ago. LeBron was sidelined with a groin injury for that game, however, but that did not change the outcome as the Sixers pulled away from the Lakers in a game that turned into an absolute shootout. Additionally, to close out the night, the defending-champion Warriors defeated the Miami Heat in a very narrow affair that saw Golden State come back from a double-digit deficit to win. DeMarcus Cousins knocked down a pair of free throws in the final seconds to clinch the victory. This isn’t exactly the type of scoring play that fans have been accustomed to seeing. Klay Thompson looked to hit a cutting DeMarcus Cousins with a pass, but the pass hit Cousins in the head. Still, Thompson managed to scoop up the loose ball and knock down a jump shot in the opening quarter. Kings rookie forward Marvin Bagley III had a performance for the ages against the Suns. Bagley scored a career-high 32 points on 10-of-15 shooting to go along with seven rebounds. Jonathan Isaac has always been a player the Magic had high hopes for and he showed why against the Hawks. On one defensive sequence, Isaac rejected three shots, including one on Trae Young at the rim. Tobias Harris looks like he is going to be a great fit with the 76ers after his first two appearances with the team as he helped lead Philadelphia to victory over the Lakers by scoring 22 points to go along with six rebounds and six assists. After a slow start to the game, Damian Lillard took over for the Portland Trail Blazers in the third quarter against the Mavericks as he poured in 21 points in the quarter alone. The Los Angeles Lakers held on to Kyle Kuzma at the trade deadline and he was paying dividends for the Purple and Gold on Sunday by catching fire early on and never slowing down as he finished the loss with 39 points. While it was Kyle Kuzma who dominated the first quarter of Sunday’s showdown, Joel Embiid got the job done for the Sixers despite the fact that he was uncertain to play in the game with an illness. The Orlando Magic will not make the NBA playoffs but Nikola Vucevic has been one of the biggest surprises of the season as he is playing at an All-Star level and that was on display again on Sunday as he scored six straight points for Orlando in the opening quarter. With all of the star power in the Sixers’ starting lineup now, J.J. Redick is finding plenty of open space on the offensive end to get his shot off and this particular three was more impressive than the rest as he stopped on a dime after sprinting the wing and hit a shot while falling out of bounds. Luka Doncic’s impressive rookie season has made him one of the game’s most intriguing players and he continued his strong start to his NBA career on Sunday by turning the corner on the defense and hammering home a slam dunk to start the game. While the Lakers and the Sixers were the nationally televised game on Sunday afternoon, the Trail Blazers and Mavericks also did battle and it did not take long for Jusuf Nurkic to make his presence felt.